Take Part in Our Voterization Project! The right to vote is not expressly guaranteed by the U.S. Constitution. Rather, voting rights have been handled at the state level with amendments to the U.S. Constitution seeking to prevent discrimination. The struggle for these amendments and universal suffrage informs a significant part of our civil rights history. African American men were only granted the right to vote by the 15th Amendment in 1870 and women didn’t get the right to vote until the 19th Amendment in 1920. Even then, many African Americans weren’t actually able to exercise their voting rights until the Voting Rights Act of 1965. Because of property ownership requirements, tenants didn’t even gain the right to vote in most states until well into the 19th Century. Unfortunately, the struggle for voting rights isn’t just an historical issue. Today, certain people’s ability to vote is being challenged across the country. In June of 2013, a core provision of the Voting Rights Act of 1965 was struck down by the Supreme Court. The removal of this provision will make it more difficult to prevent discriminatory changes to state and local voting laws. To counteract this, advocates should support the Voting Rights Amendments Act of 2014. Targeting specific communities with misinformation (e.g., leafleting with incorrect dates for elections). Attempting to curtail opportunities for early or absentee voting. Reducing the number of or relocating poll places to make it more difficult for certain communities to vote. Challenging the registration status of voters at the polls (i.e., “voter caging”). Voter suppression directly and disproportionately impacts renters. Many renters are low income, members of racial or ethnic minorities, students, senior citizens, or persons with disabilities. Voter suppression efforts have intentionally made it much harder for these groups to cast a ballot. In short, it has become harder for many renters to vote. If the renter vote is suppressed, issues facing renters will not be addressed by elected officials. For this reason, NLIHC is strengthening our Voterization work in 2014! Voter turnout among low income people will play a crucial role in the outcome of the 2014 elections. There are 36 senators and 36 governors up for election this year along with the entire House of Representatives.This election is a chance for housing advocates and service providers to change the debate! 1. Join NLIHC for our first 2014 Voterization webinar TODAY! 2. Use NLIHC’s 2014 Voterization Plan, created to help organizations engage renters in voting. The materials will take your organization through the three step process of voterization: registration, education, and mobilization. Click here to view the 2014 Voterization Plan and Narrative! For more information on NLIHC’s Voterization project, please contact our Field Team at 202-662-1530 or outreach@nlihc.org. This post included an excerpt from NLIHC’s 2014 Advocates’ Guide to Housing and Community Development Programs. 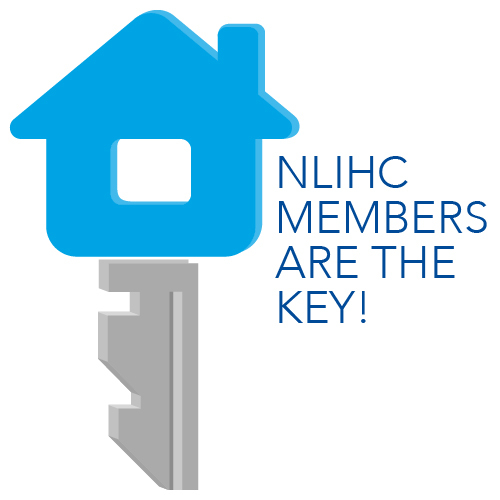 Join NLIHC at www.nlihc.org/membership to receive a FREE copy! Members receive discounted rates on the publication. Email creyes@nlihc.org to order your copy today.